Damotech's line of rack repair kits is the golden standard in the rack repair industry. 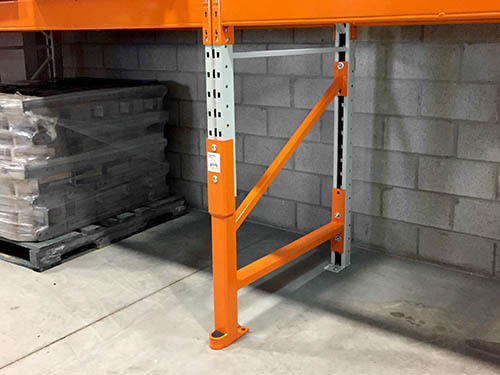 Damotech's permanent rack repair solutions are designed to fit any type of rack, respect the original configuration of your uprights as well bring back the original loading capacity of your racking system. Our repair kits are custom-built to match your specific needs. They are bolted on so no "hot permit" for welding is required, allowing the installations of the units in any environment, including freezers. Our customer service is what distinguishes us from the others. We start with a call and then visit the warehouse where damage has been reported. Our specialists will assess the condition of your racking systems and offer advice on the scope of the repair work needed. Custom kits will be made to measure, and ready to ship in less than two weeks. 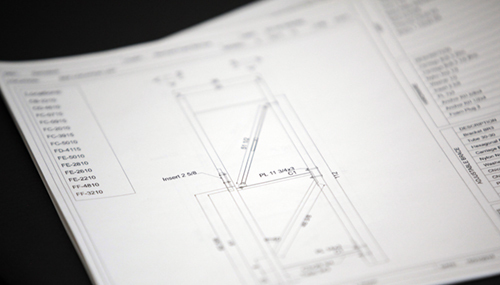 Our rack repair solutions are intended to follow and respect the engineering that went behind the design of your existing racking system. The repair kits work together with the racks they are installed on to restore their original capacity while extending their lifespan − safely and permanently. Our repair specialist will assess the condition of your racks and advise you on what type of rack repair kits you need for every location, prepare a proposal for your approval and schedule the installation. Once the PO is approved, your units will be put into production and be ready for shipping in less than two weeks. Damotech has the industry’s shortest production time for custom-built repair products. This is the result of significant investments we have made in our LEED certified production facility with state-of-the-art technology & automation. The short lead time is one of the many benefits of using Damotech repair kits over OEM replacement parts. 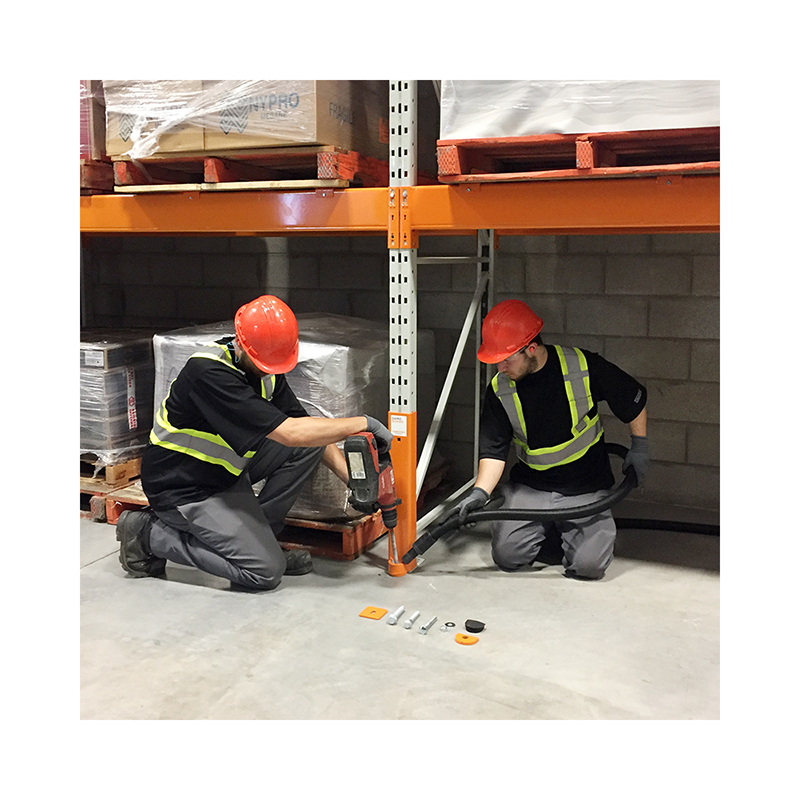 Our network of certified installers allows us to service your warehouse regardless of geographic location, anywhere in North America. Installations are carried out by seasoned installers who've been trained and certified by Damotech. Each repair kit is generally installed in less than an hour. The installation is coordinated in advance for a time that best suits your schedule. Our repair kits are permanent and they put an end to the ongoing cycle of upright replacement prevalent in most warehouses today. They are robust and come with a warranty that provides full peace of mind. This makes our rack repair units a smarter solution to rack damage and a better long-term investment. There are many reasons why Damotech repair kits are a better solution than replacement with OEM parts. 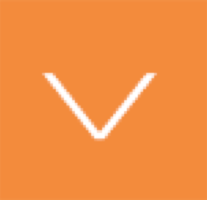 Learn how you can save time, effort and money by viewing our 'Rack Repair vs. Replacement' infographic. All of Damotech's repair kits are installed using a proprietary lifting system − the DAMO EASY LIFT − that allows for installation in less than an hour with minimal to no unloading. It supports the rack while we install the repair kit. 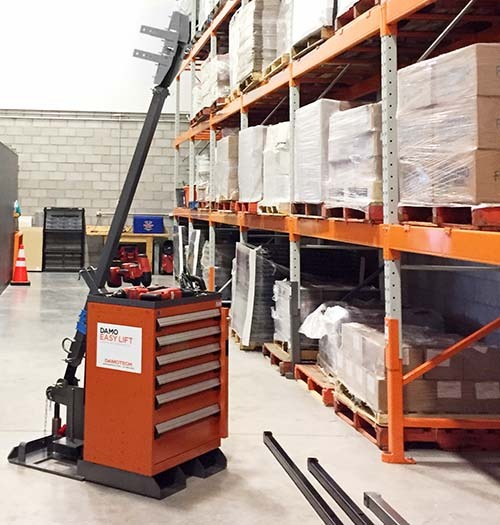 Swift and safe, the DAMO EASY LIFT greatly facilitates installations of repair kits by lifting and supporting the rack slightly during the repair. There is generally no need to unload the merchandise stored in the racks, minimizing the disruption of your warehouse operations. Our repair kits put an end to the endless cycle of upright replacement. They are designed to protect from future impact so you don't have to spend money on replacing parts over and over again. Whether you are in California, Vermont, Hawaii or Ontario, we have experts across North America ready to visit your warehouse. Yes. All of our installers are trained by Damotech and certified annually. They are knowledgeable in the installation procedures set forth by our engineers and they carry liability insurance. A standard 24" DAMO PRO can be installed in less than an hour. A limited self-install program exists. Those that wish to self-install must meet specific criteria and execute a liability release, assuming responsibility and risk for the installation. Will I be required to get a hot permit? 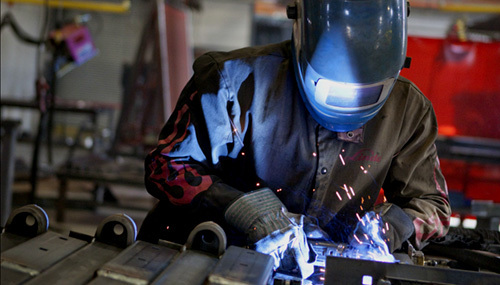 A hot permit is not required as all of Damotech's products are bolted on and do not require any on-site welding. Can I purchase an Easy Lift ? This proprietary lifting device is reserved for use by our dealers and installers, for the installation of Damotech products. What anchors do you use to install your products? All of our products come with high shearing capacity 'screw type' anchors made by Hilti. Still have questions on repairing your racks or why it's a better solution than replacement?